September 17, 2013, 9:56 a.m. In advance of the opening this Friday of a movie version of Princess Diana&apos;s life, The Daily Express and The Sunday Express have recently published a string of new claims regarding her death, including some that appear to support the theory that the SAS was involved in arranging her death. Now, a YouGov poll finds that a surprising number of Britons believe the conspiracy theories. The princess died in a car crash in Paris along with her boyfriend Dodi al Fayed and the driver of the car, Henri Paul, on August 31st, 1997. In the years after, alternative accounts of the crash emerged, including one advanced by al Fayed&apos;s own father which alleged that the couple&apos;s death was arranged as part of a conspiracy to prevent their marriage. An investigation by the Metropolitan Police concluded in 2008 that the theories were unfounded – the deaths the result of a tragic accident and nothing more – but many conspiracy theories have persisted nevertheless. 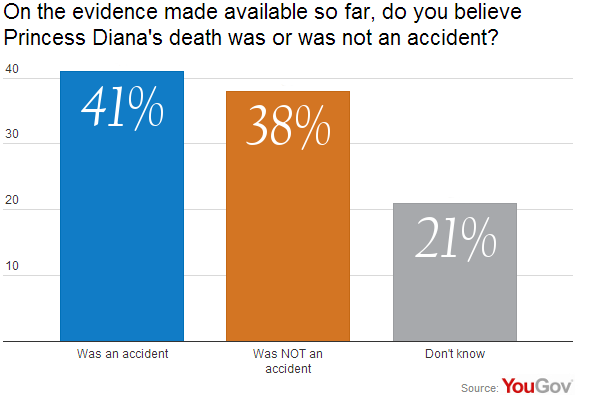 Now a YouGov poll shows nearly four in ten Britons nowadays think Diana’s death was not an accident (38%) – nearly the same number that think it was an accident (41%). A further 21% say they don&apos;t know. When asked more specifically about some of the conspiracy theories related to the crash, a majority of Britons remain sceptical but large proportions are believers. Fully one third (33%) say it was at least &apos;probably true&apos; that Princess Diana was assassinated, while one quarter (25%) also believe that the MI6 was involved and another quarter (25%) believe that Diana was pregnant with Dodi al Fayed’s child at the time of her death. 19% believe that Henri Paul, who died driving the car Diana was in when she also died, was in the pay of a national security service. 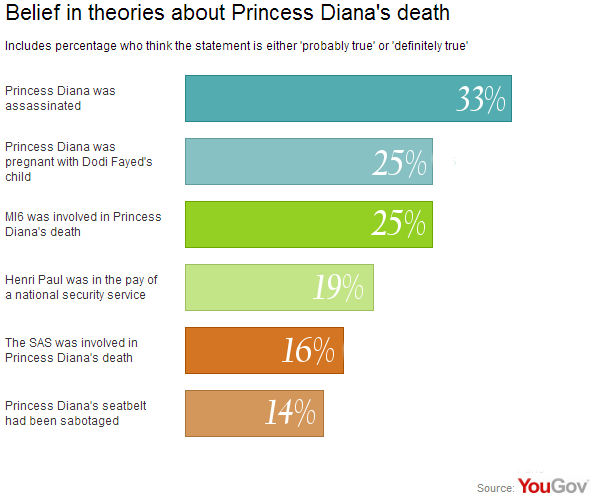 Fewer people think that the SAS was involved (16%) or that Diana’s seatbelt was sabotaged (14%). In August it was reported that the Metropolitan Police had received new information about the couple’s death and was ‘assessing its relevance and credibility’. 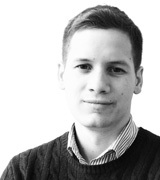 However, Scotland Yard also stated that it was not conducting a ‘re-investigation’ of the deaths. The Princess Diana biopic, Diana, stars Naomi Watts as the princess and arrives in cinemas nationwide on September 20th.